Connection of tubing of the same diameter in areas of chemical and physical laboratory technology, biotechnology, medical engineering, nuclear technology. For conveyance of ultrapure media and all kinds of aggressive and dangerous liquids and gases. 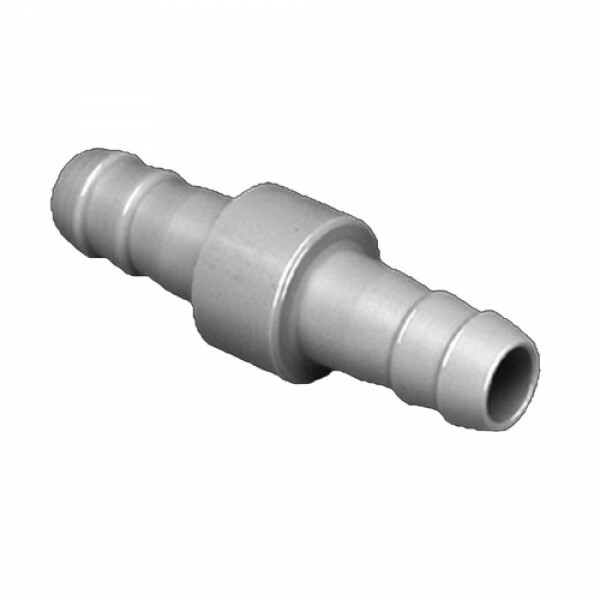 Solvent and chemically resistant, non-leachable tubing connections, non-slip fluted nozzles on both sides, construction in one piece without joints, mirror-smooth inner surfaces with low tendency to adhesion, made of application-oriented, sterilizable high-performance materials PTFE, PVDF or PP. For elastic tubing with inside diameters of 4 to 12 mm.